This site is edited, written and photographed by David W. Dunlap (b 1952). I’m a reporter at The New York Times and write a weekly column called “Building Blocks.” (It should be said, however, that Building Provincetown is not connected in any way with The Times). 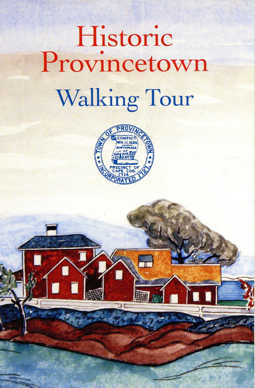 I also wrote the text for the Historic Provincetown Walking Tour fold-out map, issued in 2010. I’m the author and photographer of From Abyssinian to Zion: A Guide to Manhattan’s Houses of Worship (2004) and On Broadway: A Journey Uptown Over Time (1990). I live on the Upper West Side of Manhattan with my husband, Scott Bane, but we try to spend as much time in Provincetown as we possibly can. John Kane, a graphic designer and a faculty member at Northeastern University in Boston whose published works include Improper Bostonians (1998) and A Type Primer (2011), is designing the book. Development in Provincetown from Provincetown Community TV on Vimeo. An interview by Catherine Russo of David W. Dunlap, in August 2010. Provincetown Magazine published a terrific profile, by Steve Desroches, in 2013.